You are currently browsing the tag archive for the ‘best deck builders in St. Louis Mo’ tag. 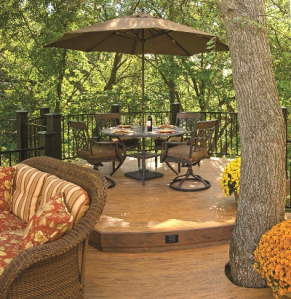 A well designed deck will enhance scenic views, provide a smooth transition from inside your home to the outside, and optimize your backyard regardless of the layout — at grade-level, an uneven terrain or a deep slope. 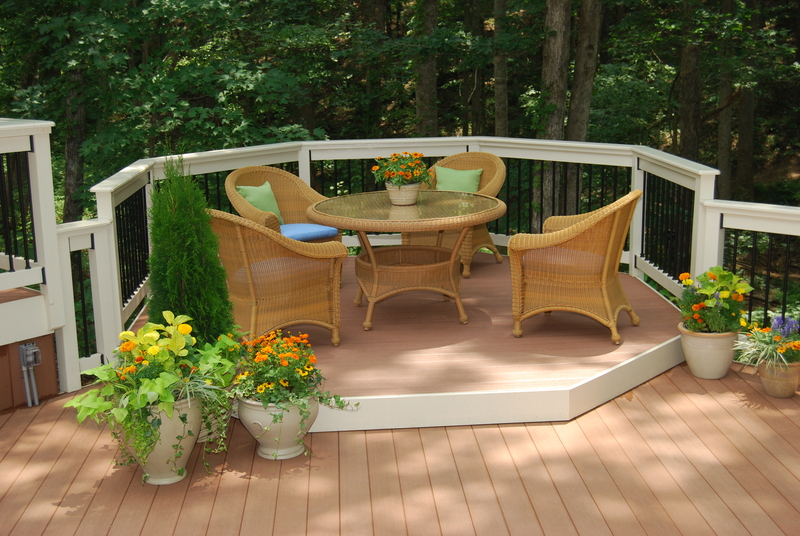 And exactly how you plan to utilize your deck will have an impact on its overall design as well. For example, folks who anticipate frequent dining on their deck will want it designed with readily available, kitchen access. Homeowners that enjoy evening entertaining on a deck will undoubtedly incorporate accent and safety lighting. Gardeners may want built-in storage areas or deck planters. But no matter what your specific preferences are for usage, all deck designs should consider transitions and access; sun, shade and lighting; size and shape. Easy access with well-designed transitions are imperative to ensure that the deck space is appealing, functional, safe and convenient. Smooth traffic patterns and attractive visual connections from your home to your deck, and from your deck to your backyard, are essential. Design questions for deck access and transitions include: Where are doors located and will they slide or swing? Will the deck be accessible from the first floor only, or from a second floor or walkout lower level too? 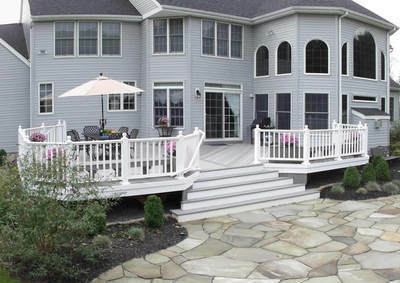 If your deck is elevated, how will stairs influence the design? Are landings necessary? Could a spiral staircase save space in tight spots? Are there safety considerations for elderly relatives, children or pets?